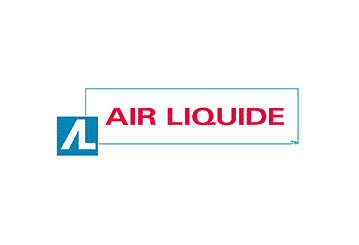 Air Liquide is a multinational French company that supplies services and industrial gases to a number of different industries including electronic, medical and chemical manufacturers. This company was founded in 1902, is the world’s second-largest supplier of industrial gases in terms of revenue, and operates in over 80 countries. Air Liquide has a special focus on research and development, and creating industrial gases and other products for the healthcare industry, chemicals, foods and electronic chips. It primarily focuses on bio-resources, membranes, analysis, combustion, modeling and the production of hydrogen gas. Air Liquide is one of the world’s top producers of gases and related technologies for the healthcare and industrial industries. This company specializes in the production of gases including hydrogen, nitrogen and oxygen. More specifically, Air Liquide separates air components into nitrogen, argon, oxygen and rare gases while it produces hydrogen, helium, carbon dioxide, nitrous oxide and silane from the natural resources of the planet. In addition to production, Air Liquide also provides proper transportation for various gases to ensure that they are safe and that the product remains molecularly unchanged. The molecules produced by Air Liquide have not changed since 1902, but the business and technology has. This company has created many innovations in the construction, engineering and design of infrastructures and facilities all over the world. Air Liquide strives to create reliable, competitive and safe solutions for its customers. 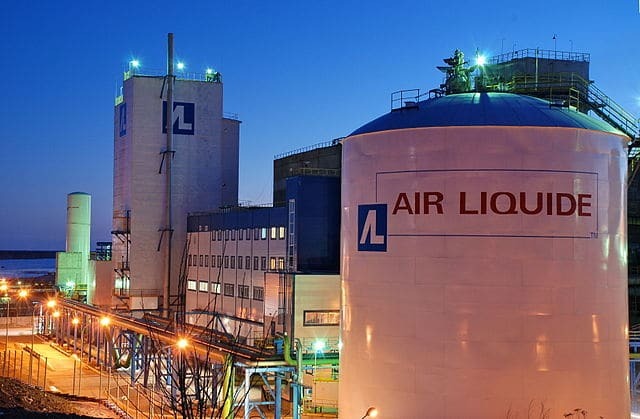 To provide customers with the industrial gases they need, the engineers at the company have created proprietary technology exclusively for Air Liquide and its customers. This company has been recognized for its success in continuously improving the productivity of ASU based on its proprietary technologies. It offers a complete solutions package and can manage even the most complex projects, while ensuring reliable service and living up to its performance guarantees. In 2013 the company’s Board of Directors reaffirmed its commitment to being a leader in the industry by offering responsible and sustainable practices coupled with long-term business success. Air Liquide is dedicated to acting responsibly by serving customers and patients while contributing to betterment of society. This includes promoting the environment and healthy practices while giving back to the community particularly through the Air Liquide Foundation. This company also works diligently to develop its employees and optimize their operations. By developing their employees, Air Liquide is creating a committed and knowledgeable workforce that believes in the ethical rules of the company. In addition, Air Liquide focuses on preserving natural resources and evaluating the affect the business has on the environment. Plus, Air Liquide believes it is important to create relationships with its shareholders to ensure a successful future for the business.